We're approaching the end of the year, which means we only have one more color trend left to share. 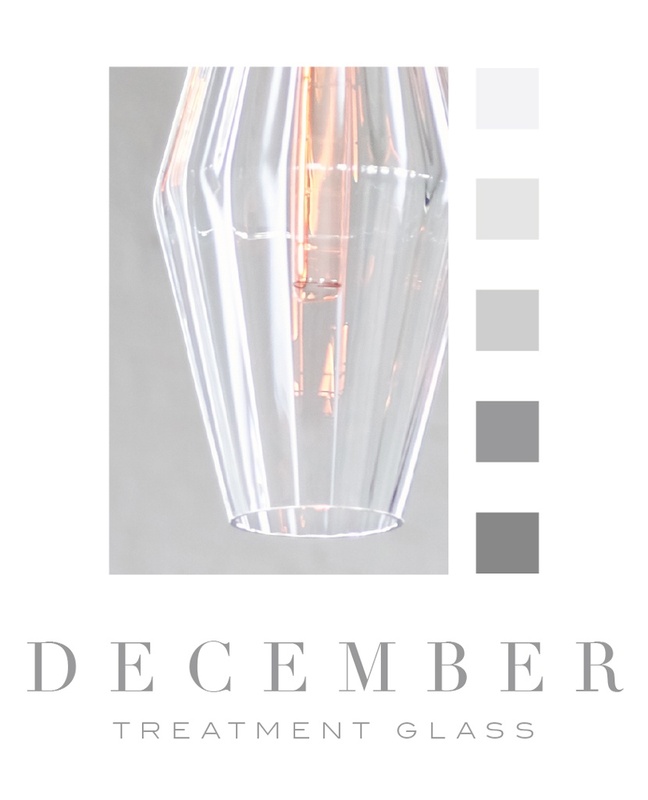 This December, we're drawing attention to our treatment glass, which encompasses an array of shapes and colors. Our treatment glass is created using several different techniques to form a textured piece. From Effervescent to Optique to Torrent, these options will add a sophisticated layer to your lighting. A modern take on a traditional technique, our Effervescent glass embraces high texture through optic bubbles. Our Optique glass features light-refracting ridges and is available in several colors, including Gray, Amber, Fig, and Condesa. Similar to our Optique glass, our Torrent glass features light-refracting ridges that are twisted by hand to appear in their spiral formation.